-- Select a Size/Color -- 8' Length x 3/4" Width - Out of Stock! 8' Length x 1" Width - Out of Stock! Get ready to have an adventure with this fabulous Beyond Control Dog Leash by Canine Equipment! 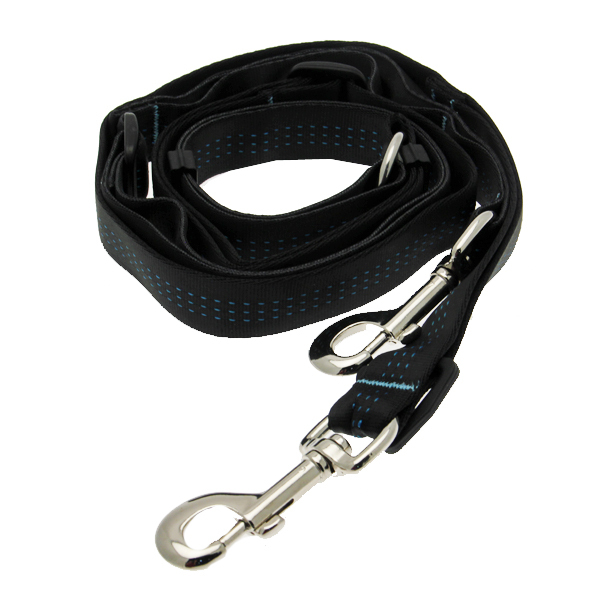 The multi-purpose Beyond Control Dog Leash allows for both regular and hands-free use. Fully adjustable for almost every scenario! Can be used as a temporary tie out. or as a coupler. Padded control handle to keep your dog close when needed (on 1" wide leash only). Stainless steel O-rings and D-rings with double ended snap hooks. Made from ultra-soft climbing grade tubular webbing. You have some of the cutest clothes for dogs and cats that I have found! Thank you!